This is a truly lovely pair of early Irish tongs. They are unusually long, being 6.¼ inches long. 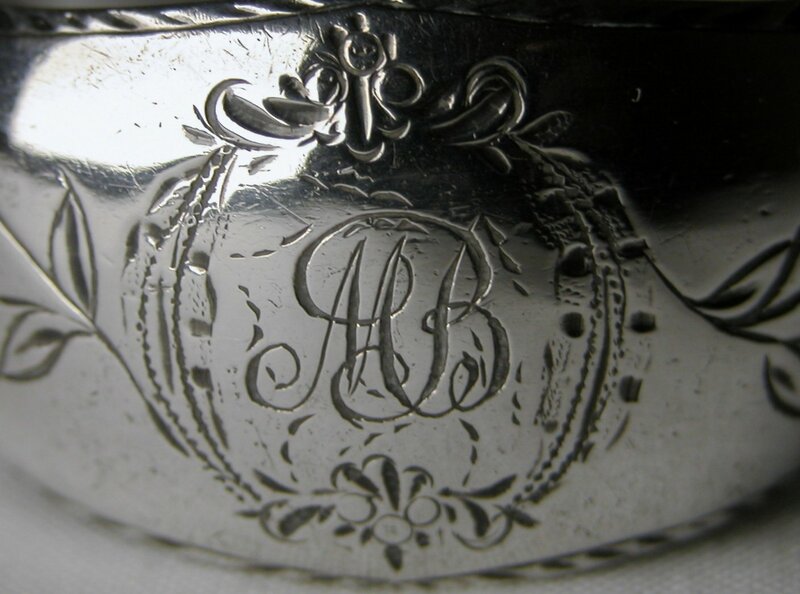 They have a delightful flower engraved pattern to the top part of the arms, Adam style. The bottom one third of the arms is soldered onto the top half and the bowls have clearly been cast - a most unusual way to make tongs. From the shape of the harp, they cannot be dated later than 1786. The maker's mark is unfortunately partially rubbed but appears as if it could be DP. Jackson, page 637, lists a DP maker's mark identifying it as Daniel Popkins, dated 1758.Daniel Popkins is a prospect, in the absence of another 'suitable' 'DP'. Any firm ascription presents a little bit of a problem, in that he appears in the Dublin street directories up to 1775. I am of the opinion, having looked closely at the combination of the Hibernia & crowned harp punches on your tongs that they are certainly post 1773 and pre 1786. The Hibernia punch is not clear and one must always view both of these punches together, when attempting to 'tie down' a date and initially, I 'lean toward', 1776/7, which of course, is a problem, so let me suggest a slightly broader date frame of mid 1770's as being a fair dating.